If you’re a Rogers home Internet customer, you may want to login to your online account and check if you have the following special offer. Select Rogers customers are seeing promos offering 1Gbps internet for $29.99 per month, for 12 months, saving $75 off the regular price—or $900 annually. 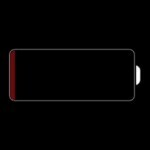 According to RFD, the offer appears to be targeting customers who have an internet plan coming up for renewal. Others logging into My Account are seeing prices of $34.98 or $44.98. Negotiations with Rogers reps by some users were able to lower the price down to the $29.99. The plan offers 1Gbps download speeds and 30Mbps upload with unlimited data usage. 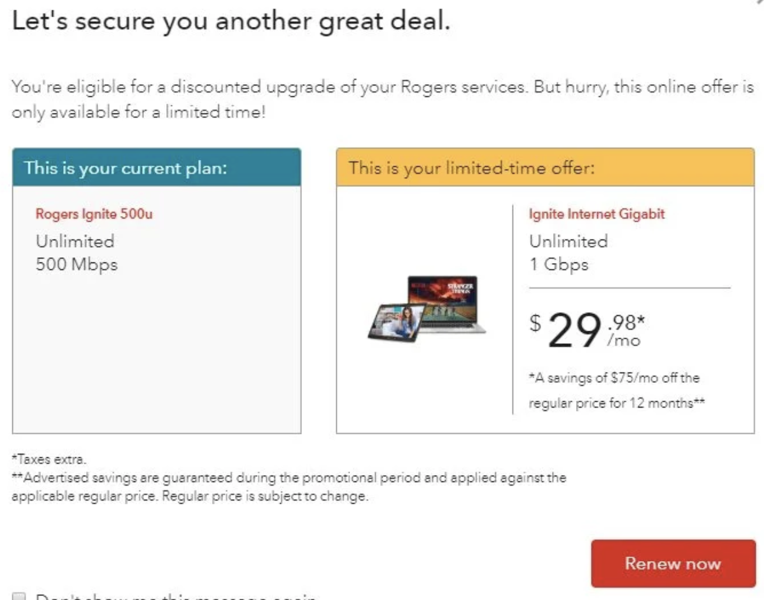 Again, to check if you are eligible for this offer, login to the Rogers website on your desktop with your ad blocker off to ensure you don’t miss the pop up message, which aims to retain your internet services with Rogers.